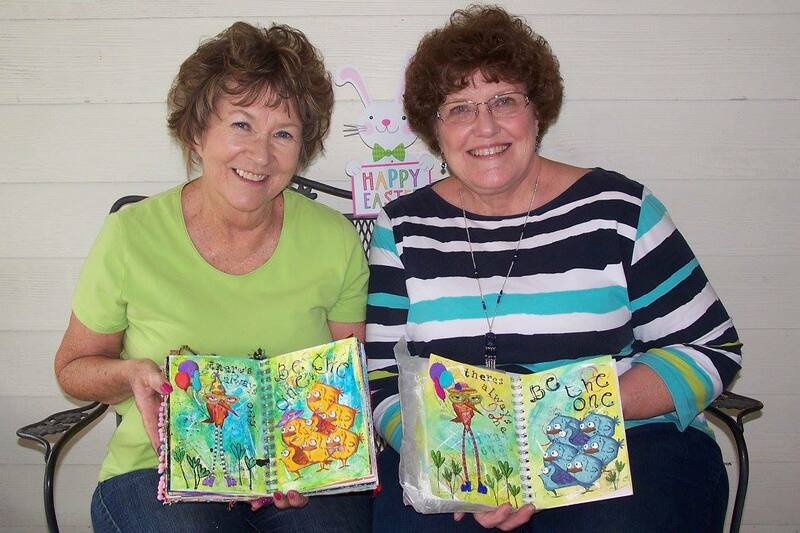 This month Terry Peattie came up with the cutest 2-page spread using Tim Holtz's Crazy Bird Stamps - whoop whoop! 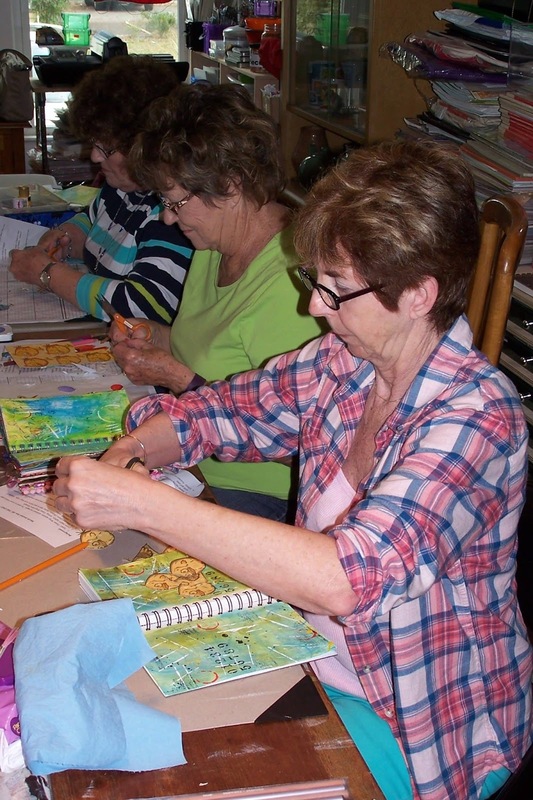 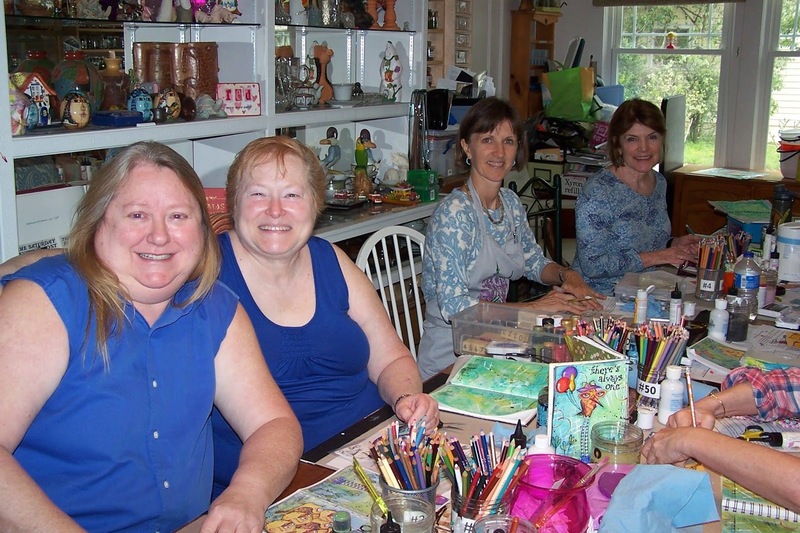 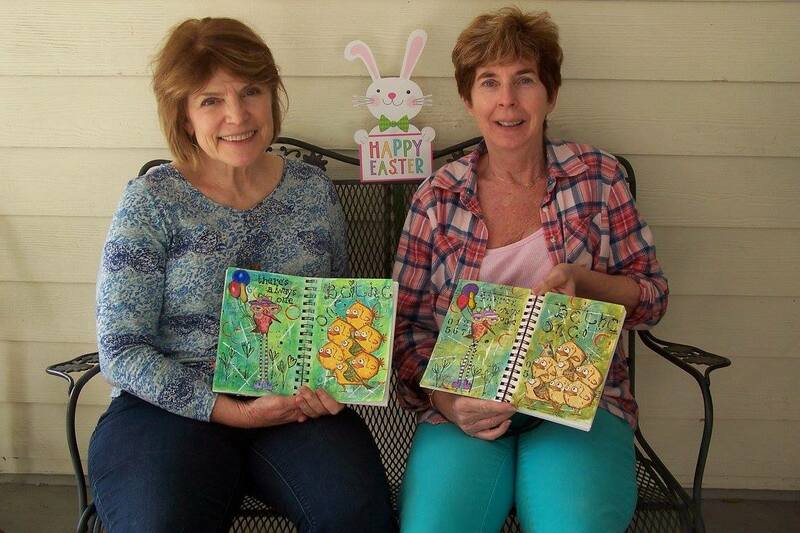 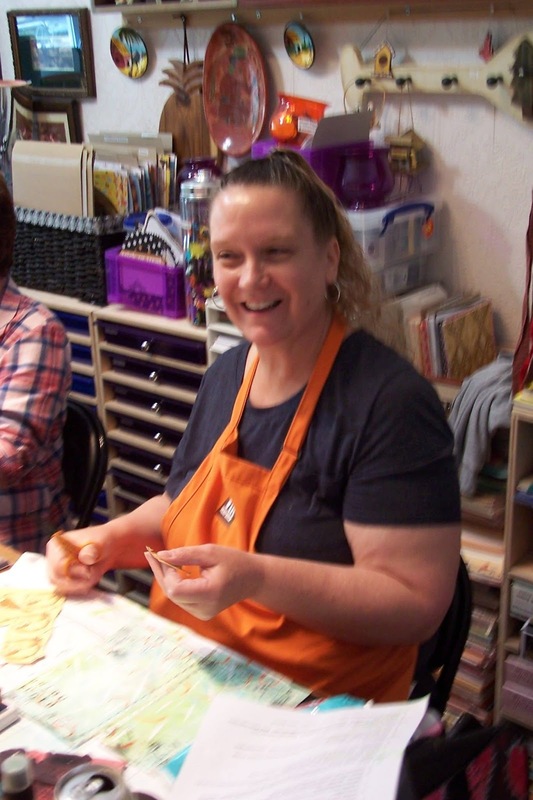 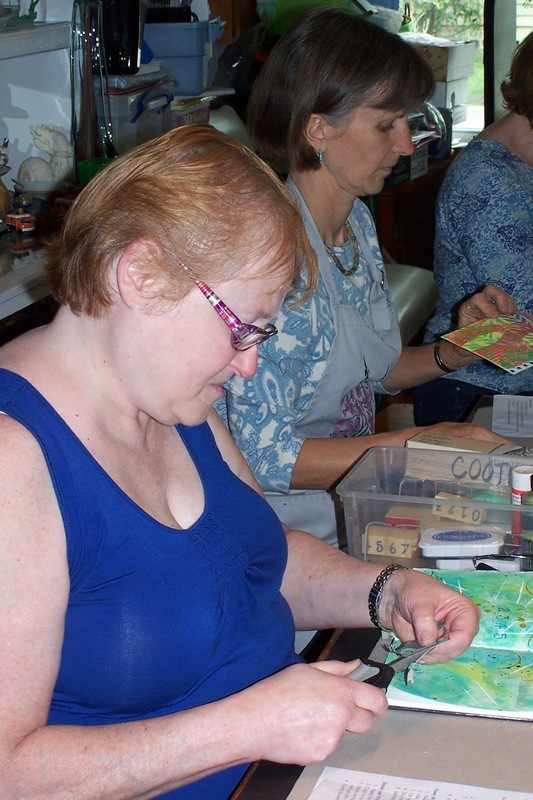 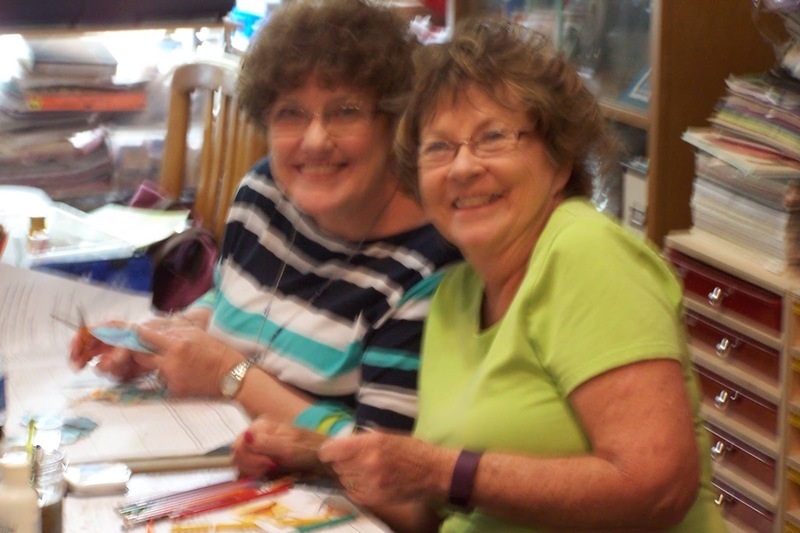 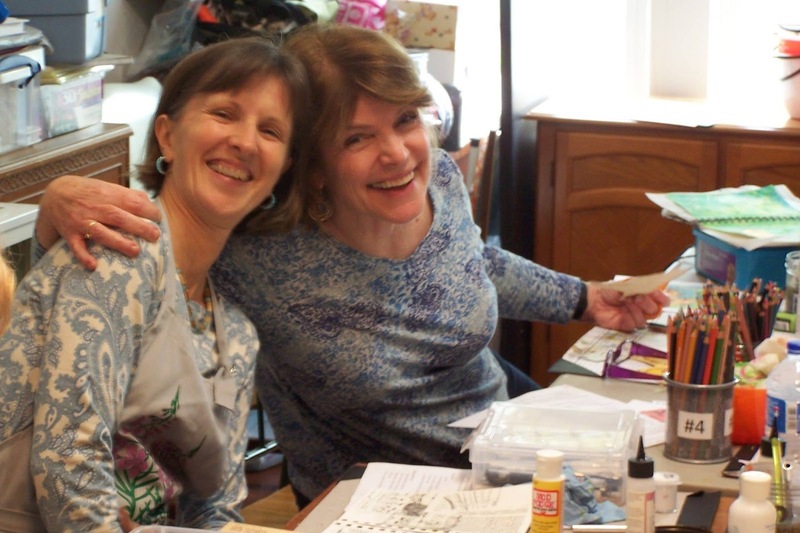 The ladies had a grand ole time working on their journals and there were lots of smiles throughout the afternoon. 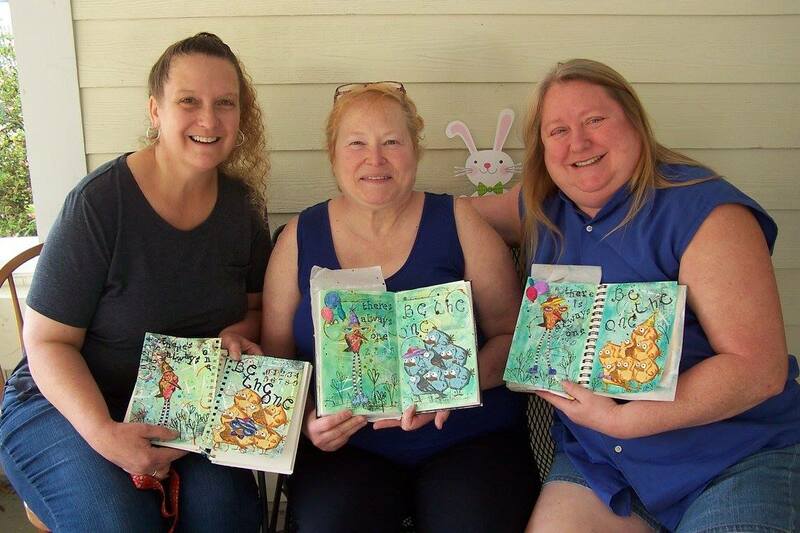 These ladies were rocking this project! 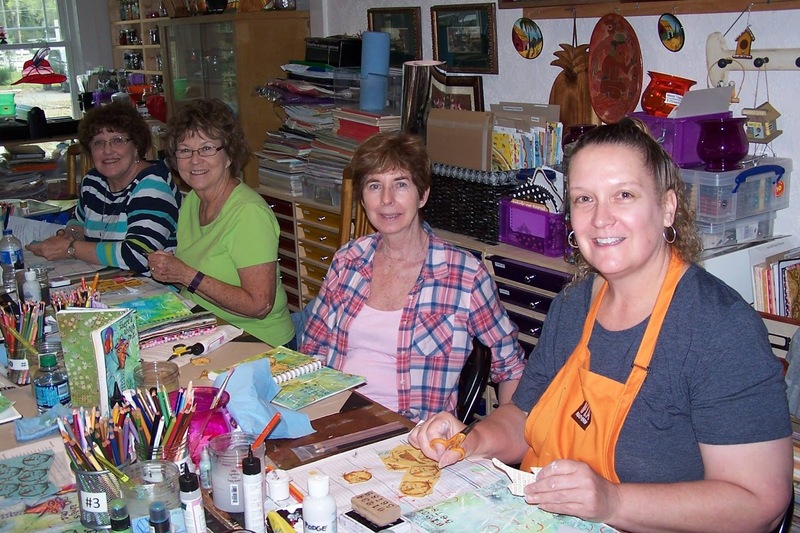 More Graphic 45 Card Class Fun!